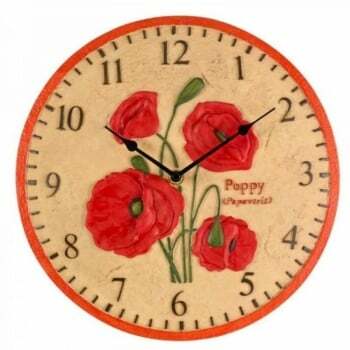 This pretty handpainted poppy wall clock from Ruddick Garden Gifts would make an ideal present for anyone who loves their garden. This clock is suitable for indoors or outdoors has a rustic hand painted finish and would look great anywhere in the garden or home. Comes gift boxed.